I love these! You are so incredibly creative! Moon cakes sound interesting/romantic, what are they exactly? What a treasure your sketchbook is- Art House is so lucky to be getting it!! Every page from your sketchbook project is exquisite! So beautiful and inspiring! These look delicious. Beautiful drawn images and I like the background you've chosen. 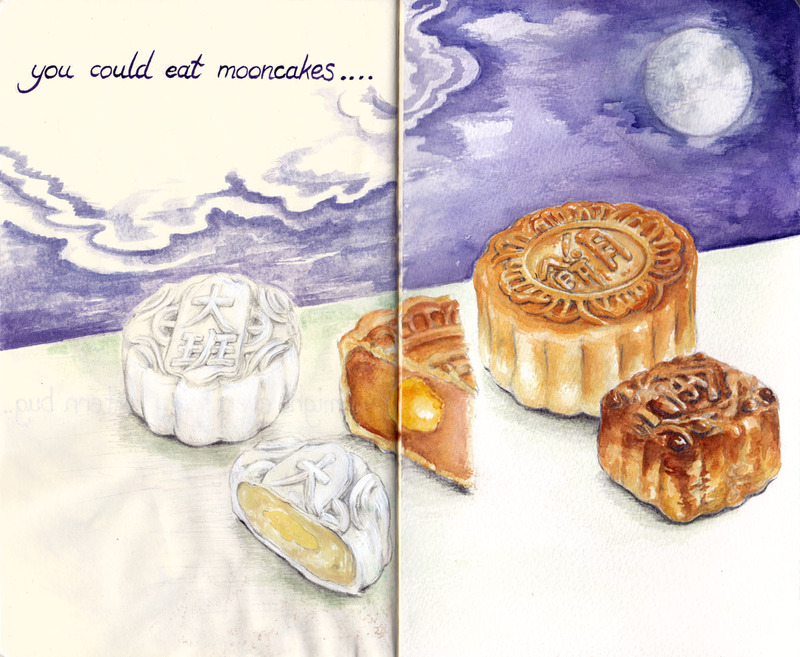 I'm missing mooncake for the 4th year now, and yes I am drooling as I am looking at your drawing...they look so real! Your sketchbook pages are simply beautiful - I wish I had the time to do something like this! I'm really impressed with all the work you are putting in to it - just lovely!